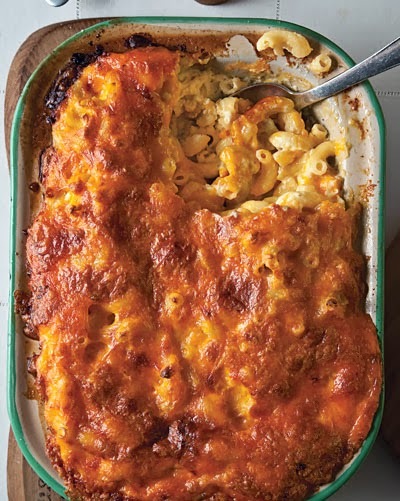 The recipe for this wonderful regional take on mac and cheese is an adaptation of one in The Gift of Southern Cooking (Knopf, 2003) by Edna Lewis, a Southern culinary legend, and Scott Peacock, the former chef of Atlanta's Watershed restaurant. Two ingredients set this macaroni and cheese apart from the pack: grated onion and Worcestershire sauce. It has great flavor and is really simple to make. A perfect casserole to feed a large group with not too much trouble.